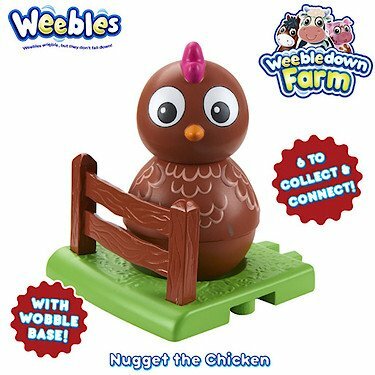 New to the Weebles family are the Weebledown farm characters and their homes (bases). We have recently been sent Nugget the Chicken to play with and Rocky thinks he's really funny. This is his first ever Weeble but it's not mine. I had the original Weebles as a child and the Weeble tag line has been something I'd say to people who topple over whilst walking for years. I'm so glad to see them back and to be sat playing with them for another generation. They're a bit different from when I was a kid, much more detailed but they are a pretty simple toy and you can't change the fact that they still make toddlers laugh. 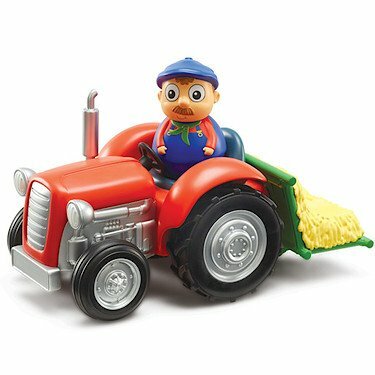 The toy is a simple one and without the play barn or other coordinating play toys it can get pushed to one side easily as once the weeble has wobbled a few times there isn't much else to do with it. 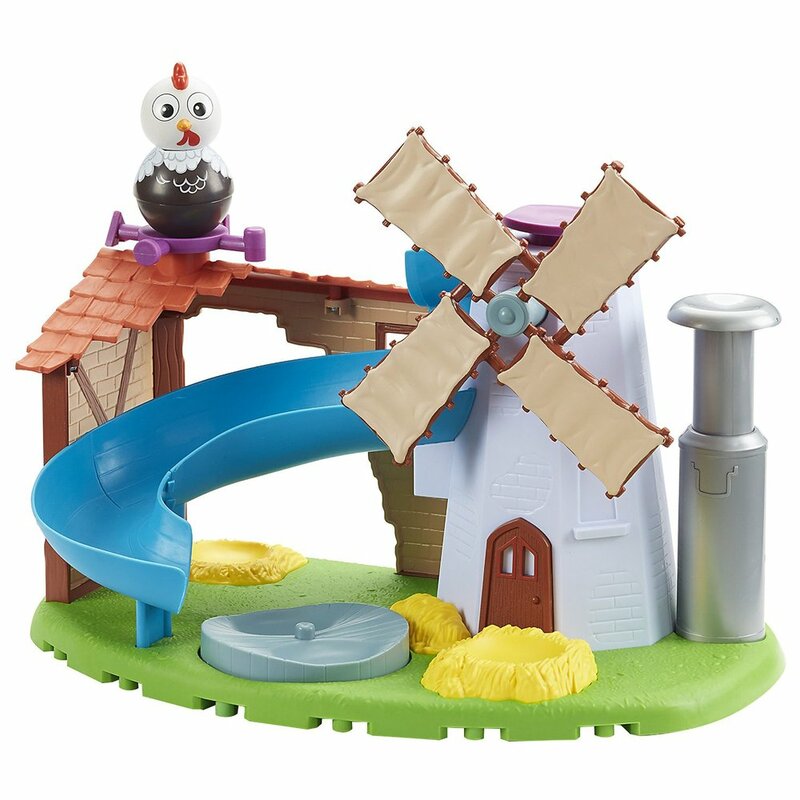 Perfect as part of a set though as there would be endless fun with the slide and accessories. Rocky took the fact that Nugget wouldn't fall down as a challenge and he was trying for ages to get her/him down but Nugget won. Nugget is pretty sturdy, Rocky is a tough nut and has been chucking it around and there are no scratches as of yet. I think I may go and buy the rest of the set, just so I can relive my childhood.